Fraser Island is part of the Great Sandy National Park and does not allow domestic pets on the island, including dogs. The one exception to the rule is assistance dogs such as seeing-eye or hearing dogs, which require a permit before being allowed on the island. This prohibition is due to the fact that domestic dogs pose a threat to the local dingo population on the island. Since dingoes and domestic dogs can be crossbred there is a chance that the dingo population could become contaminated by pets being brought to the island. Fraser Island dingoes have the purest genetic strain of all dingoes in the world and are important to the study and conservation of the species. Their isolation has allowed them to remain largely untainted by outside species of dogs. Domestic dogs have been banned from the island since 1981, allowing the dingoes to only breed within their own gene pool. Besides the fear of contamination, there is also a heightened risk of an introduction of disease or illness into the dingo community by sick or unvaccinated pets, which could prove detrimental to the survival of the species. By maintaining their isolation, they increase their chance of survival. The ecology on Fraser Island is fragile and must be monitored with great care. If someone does bring their pet dog to the island they are facing a hefty fine and severe consequences. It is important to abide by the rules of the island and understand that bringing your own domestic pet can cause irreversible effects to the balance of life on Fraser Island. 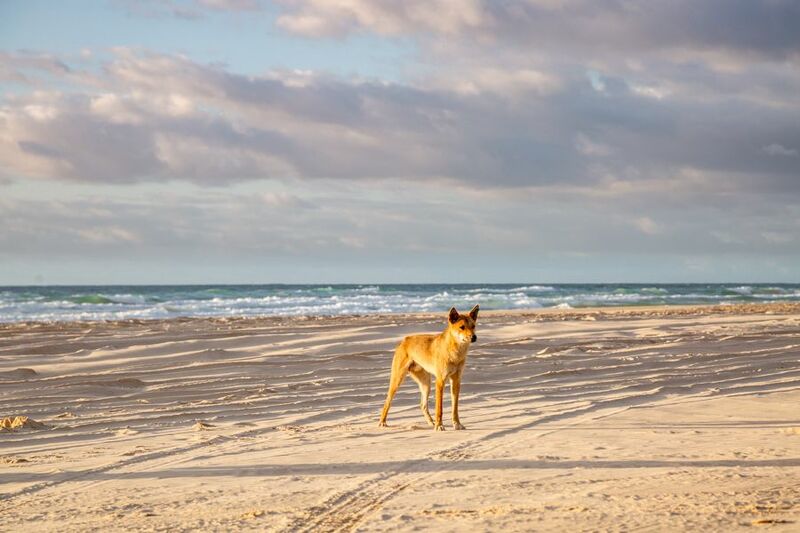 Consider kennelling your pet or leave them in the care of a loved one if you wish to go to Fraser Island so that there may be a future for the dingoes of Fraser Island and the species as a whole.